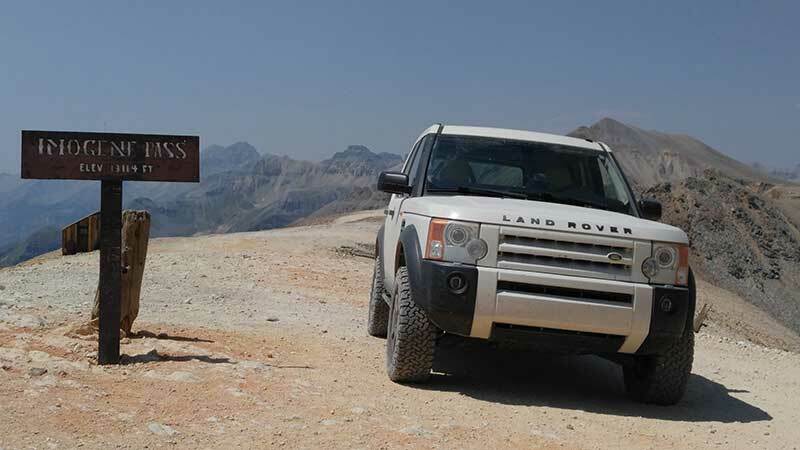 In the early 2000s, Max Thomason saw a photo on the Internet of a Series IIa 88" Land Rover descending Colorado's Black Bear Pass. 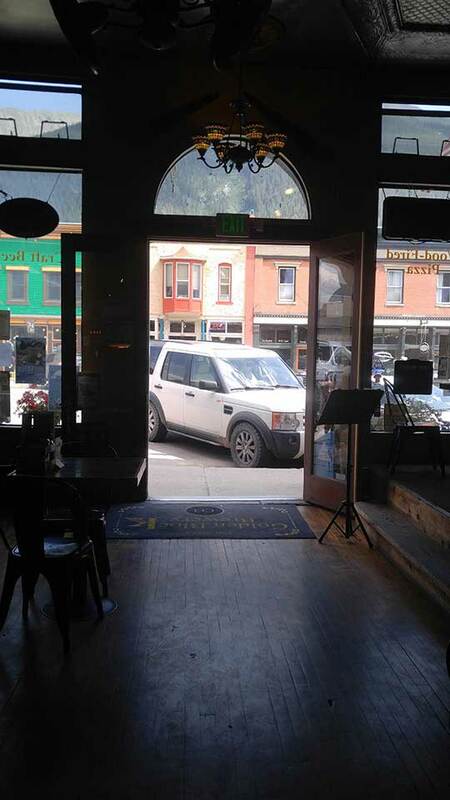 The truck was teetering precariously on the iconic switchbacks looking over Telluride. He decided that he had to go there and see it for himself. Finally, this past summer, he got the chance, as part of a cross-country road trip from Atlanta to Colorado in his LR3. He'd tried once before -- three failed attempts in his ex-military Series III 109" to make the westbound journey a few years ago, all of which failed before leaving Atlanta proper. After driving a Toyota 4Runner for several years as his daily adventure-mobile, he was spurred on by his girlfriend to swap it for a Land Rover to complement his Series III. So he picked up an LR3. 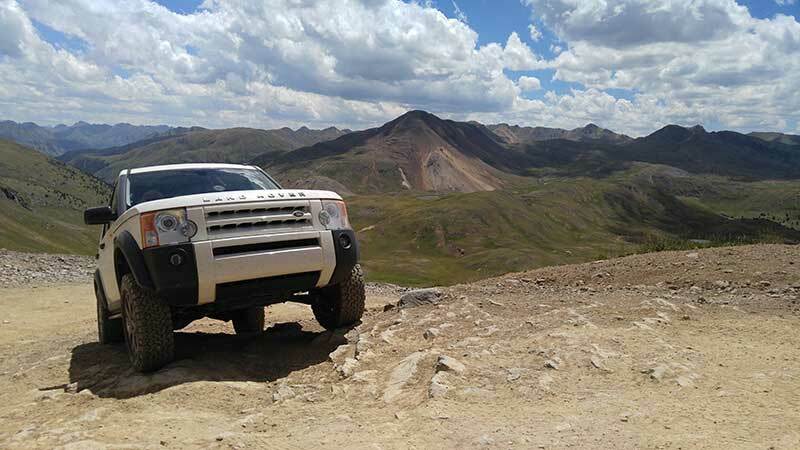 After driving it around the area for a few months, he got the urge to break it in, and the first thing that came to mind was conquering Colorado. So he booked the time off and hit up Atlantic British for some parts to prepare. After getting an engine oil filter kit, differential service kit, transfer case service kit, and front and rear brake rebuild kit, it was off to the West. After swinging through Charlotte, North Carolina to pick up his dad as co-driver and traveling companion, then headed out west via I-70. First stop: Silverton, Colorado, after two days of driving. They started right out on their first trial -- Engineer Pass, up to the top of the pass and back. That first taste of the Colorado mountain passes hooked him. Their next day was focused on some of the great trails of the Ouray area -- Poughkeepsie Gulch, Mineral Gulch, California Gulch, Picayune Gulch. Then it was the most exciting day of the trip -- finally conquering Black Bear Pass and Imogene Pass, two of America's most famous off-road trails. Finally, Max got the chance to replicate that photo that spurred this adventure on in the first place. They moved camp to Leadville, Colorado for the end of the trip, hitting Mosquito Pass, Deer Creek, and Santa Fe Creek. Then it was homeward bound to Atlanta in two days -- a nine-day trip in all. What did Max feel was the inspiration that came out of this adventure? 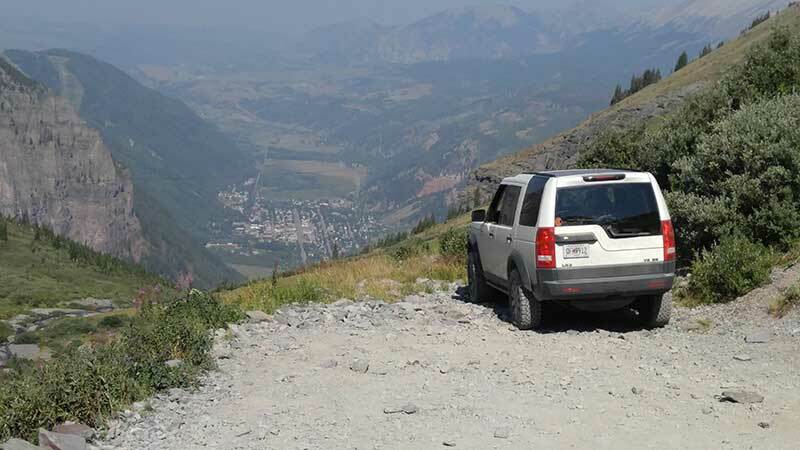 After having seen photos of Series Land Rovers at the Solihull Society's National Rally in Colorado for years, he wanted to take his 109" there badly. But being so far from the off-road meccas of the west, he needed something fast, efficient, and comfortable to make the trek. The trip gave him a sense of accomplishment -- the logistics, the planning, and finally going on a dream trip. 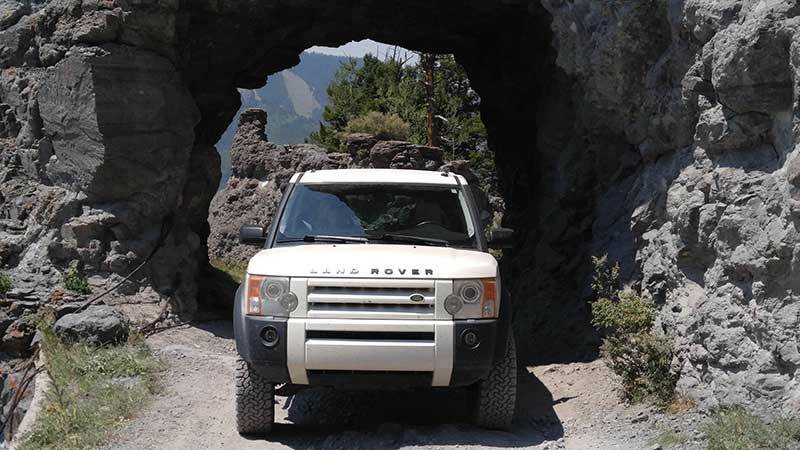 He trusts his LR3 now for long trips, and far-away destinations are now achievable road trips, not far-away dreams. He says that the LR3 is powerful yet efficient. He can tow with it, or get 17-20 miles per gallon on the highway. The air suspension allows a range of utility, from an effective 2-inch lift to a low platform for loading. 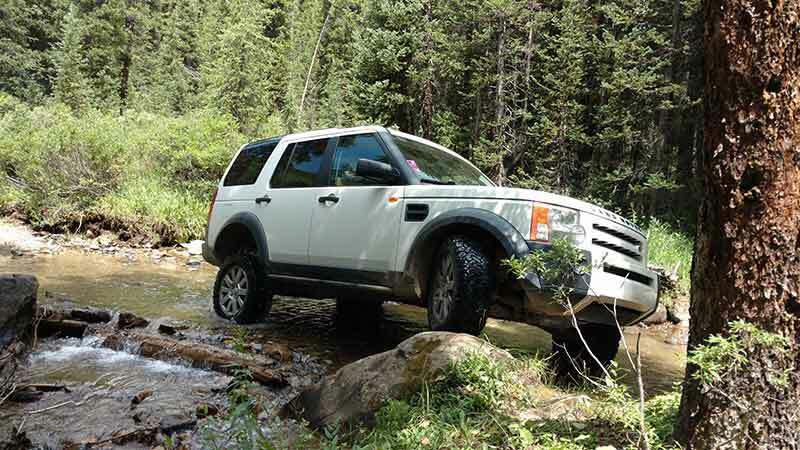 The traction control negates the need for a locker in most off-road terrain. "Overall, a vehicle that can be comfortable for fifteen-hour days for a week straight, return reasonable fuel economy, be able to haul all of our gear comfortably, and handle the trails easily is a win. Surprisingly, the long wheelbase hasn't been too much of a detriment." Since his LR3 is all ready to go, the big dream trip to Colorado conquered...the only question left is, "what's next?"